How are you Measuring the Success of your Competency Framework? Are you leaving it to subjective opinion or measuring it accurately? We never cease to be impressed with the time and effort that organisations put into producing competency frameworks. Many hours of research and careful analysis goes into such frameworks which are then rolled throughout the organisation with the intention of maintaining consistency of approach. Sometimes they are linked to pay reward and form an essential part of the appraisal system. More often than not they form the foundation for personal development plans whereupon important decisions re training, coaching and mentoring are made. Competency frameworks are playing a bigger and bigger role in decision making re recruitment, succession planning and talent management. So why is it that such an important feature of the organisation is measured in such a subjective way? Often when we speak with organisations and ask them this question we find that the only measurement is a simple scoring system – often 1-4 based on a yearly appraisal where the score is dependent on the opinion of the manager. 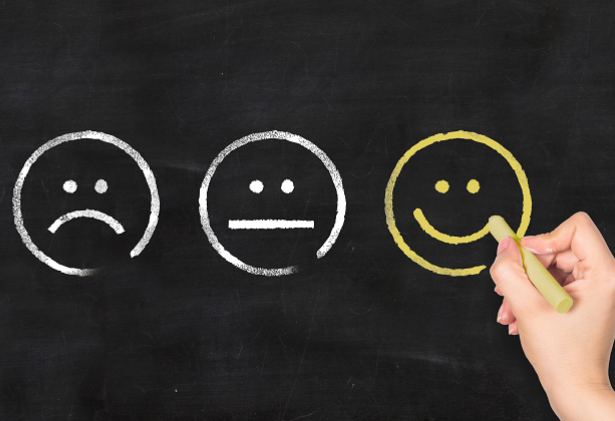 Even if a 360 degree feedback system is used the information obtained remains subjective. As a result appraisal conversations often avoid the, until now, immeasurable results and remain focused on perceived measurable achievements and setting targets. But what if you could measure such things as interpersonal skills, enthusiasm, ability to take initiative, team work, influencing skills, frankness, diplomacy, levels of self-acceptance, how well an employee handles autonomy – just a few of the 175 factors employers typically ask for but find it difficult to measure. How much easier would an appraisal conversation be if employees were measured against such factors? How much money could be saved in designing specific programmes that hit the mark for individuals and groups? How quickly could a culture change if everyone knew what was expected of them in terms of working approach and attitude and they were continually working towards achieving this as well as the operational targets expected of them? Harrison Assessments offer just this opportunity and we have been working with organisations who see the benefit of measuring in this way. Here is just one example of how it is being used by an organisation which has just undergone a merger. The newly merged organisation was looking to combine two distinctly different cultures very quickly. The senior team of 25 people got together to brainstorm what an ‘outstanding’ organisation of its nature would look like. 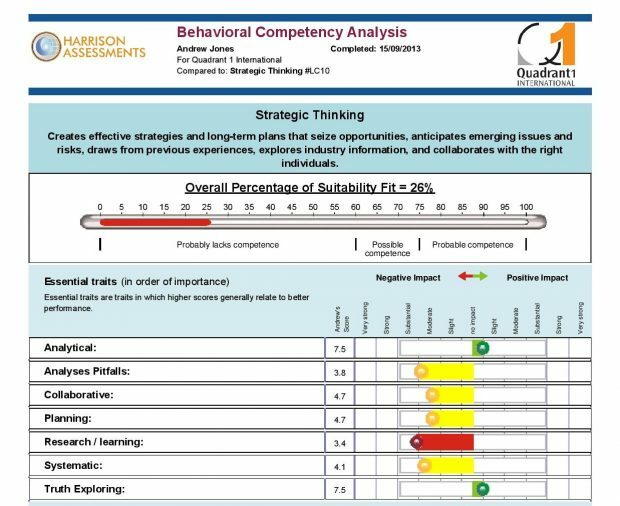 They asked themselves the question ‘if this organisation was demonstrating outstanding practice what would that look like over and above operational excellence?’ They came up with 23 behavioural traits that they would like to see demonstrated by each and every employee. We then mapped these onto a Harrison profile and came up with a list of traits with a relevant weighting. They include 6 essential traits – takes initiative, enthusiasm, ability to influence, interpersonal skills, optimism and teamwork and 24 desirable traits including diplomacy, ability to handle autonomy, wants a challenge, receives correction, warmth and empathy and the ability to handle pressure. There was also a list of 10 traits to avoid including rebellious autonomy, dogmatism, harshness and permissiveness. The profile was then presented to the next layer of management for discussion and buy-in. They tested the system by completing the online questionnaire for themselves and discussing the results. Once buy-in had been achieved the Harrison profile was incorporated into the appraisal form for every employee and it was time to roll out the programme. 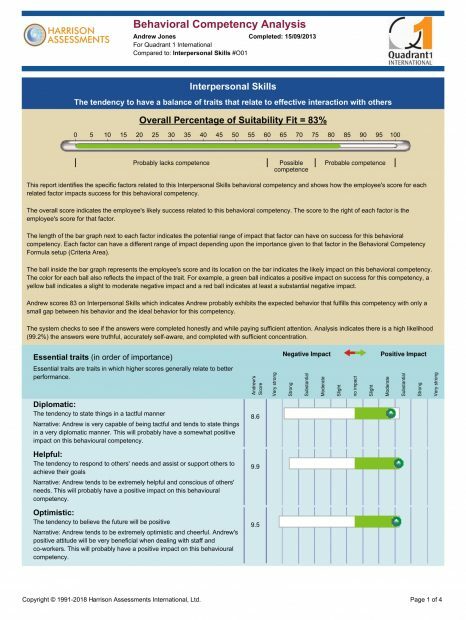 All managers were trained in using the new appraisal system which includes opportunities to discuss the various traits and their measurements. This was an opportunity to re-inforce the importance of appraisals, teach skills where necessary and to develop the managers as role models. Managers were now in a position to have conversations around such issues as an employee’s over frankness or their ability to handle stress for example. These conversations may well have been avoided in the past because it could have been perceived as a subjective view. All employees in the organisation were then invited to complete the online questionnaire in preparation for their annual appraisal. Change is measured from year to year in specific areas and development plans formulated as a result. A focused workforce who know what is expected of them both operationally and in terms of behaviours and attitude. Specific development plans for individuals saving valuable time and money. Raised awareness of expectations. Having 6 essential traits to remember forms the foundation of the culture and knowing that they will be measured fairly against such traits gives people confidence in the system. A large national public sector organisation wanted to be able to measure its prospective senior leaders against their own leadership competencies in preparation for their Aspiring Leaders programme. 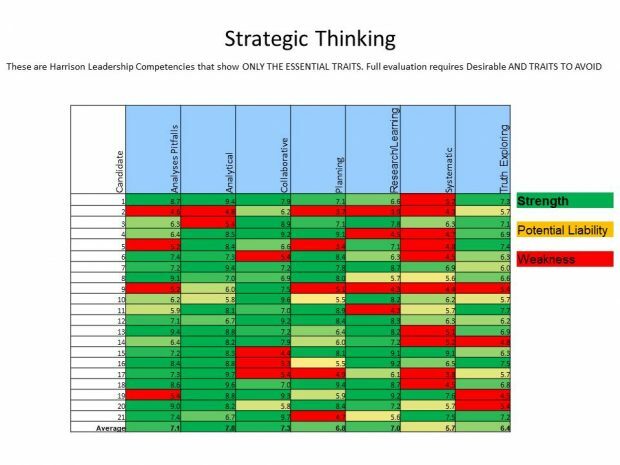 We were able to map these across using the 175 factors available and the competencies were used as part of the assessment process for the programme. Harrison Assessments are used across the world and are accessible in 30 languages. They are the result of 30 years research by Dan Harrison PhD who focuses on the link between results and the enjoyment factor. It is well documented that people who enjoy what they do produce better results. The assessments therefore take into account working preferences and cross match 175 factors. There is a consistency regulator which prevents ‘fooling’ the system and profiles can be tailor made to fit the needs of individual organisations. The system is using over 8,000 cross references thus ensuring a very high level of accuracy.